As you probably know, identity theft is an increasing phenomenon and has always been an issue in the digital age, due to the accessibility of the information online. Identity theft, also known as ID theft is the theft of someone’s personal data, including usernames, emails, phone numbers, credit card information and more. It can be stolen and also bought from identity thieves. Identity data can be stolen or fraudulently acquired to impersonate the victim in order to apply for financial services (also known as financial fraud), gain access to the victim’s bank account, email or other services, or evade legal prosecution or other consequences by providing false identities. ID theft is often the consequence of businesses and organizations that do not secure the private and sensitive data properly. The failures can include vulnerable IT infrastructure that allows hackers to access servers and copy entire databases; employees are also able to leak company’s private information on the Internet that might enable hackers to gain access to a company’s servers. Finally, companies can possibly fail to take appropriate actions in order to protect the data in their servers. 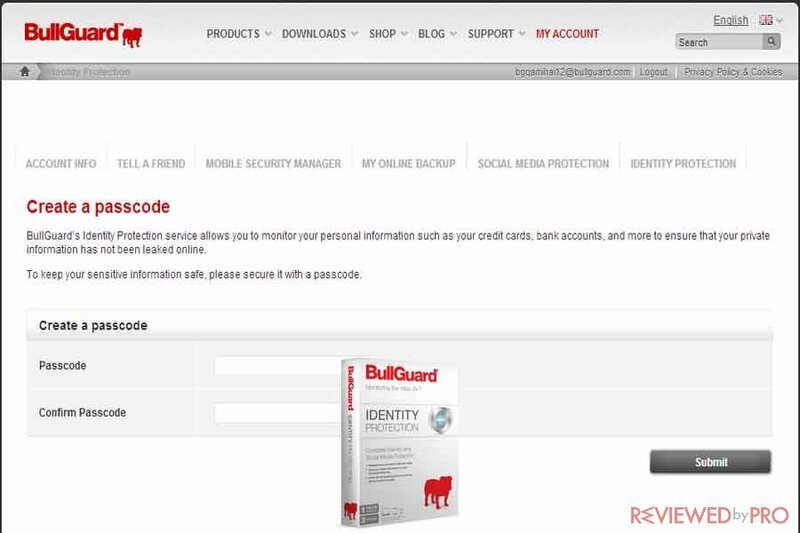 In order to avoid ID theft problems and secure your personal data, BullGuard developed BullGuard Identity Protection. BullGuard Identity Protection is a simple and effective software that protects users from any types of ID thefts and keeps personal and financial information safe. BullGuard Identity Protection provides customers with personal information and financial online data protection on any device as well as 24/7 web monitoring and preventative alerts. What does BullGuard Identity Protection offer? BullGuard Identity Protection provides advanced technology that safeguards your personal information 24/7. The software monitors the web, including social networks, and the deep for your personal information. 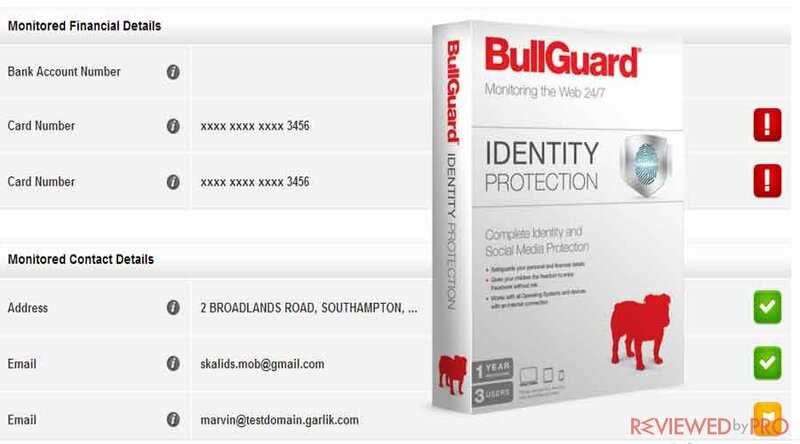 BullGuard Identity Protection monitors everywhere where your personal data is traded, search for private information such as credit and debit cards, bank account numbers, passwords, national insurance numbers, phone numbers, email and postal addresses, usernames and other private information. You just have to list the details you want to secure and protect, and BullGuard Identity Protection will detect them. BullGuard Identity Protection provides you access to your account from any device, any location at any time. The Identity Protection is a web-based service, so installation is not required. You have a quick and easy way to access the Identity Protection or Social Media Protection from any connected device. It supports PCs, Macs, iPhones, and iPads and other types of smartphones and tablets. BullGuard provides you the opportunity to pay annually or monthly, regarding your needs. BullGuard has bundled the advanced technology to make it easier for customers to benefit from effective and reliable identity protection for your entire family, according to financial needs and requirements. Users can choose a monthly subscription or enjoy better savings on a yearly subscription. BullGuard also offers its customers free technician support. Whenever you need help, BullGuard will provide you a solution to any problem you may help via Live chat or e-mail. Free customer support is available anytime 24/7. If you want, you can also choose an online remote access support. Whatever is easier for you. BullGuard offers you a 30-day money-back guarantee, so you can purchase the software without any risk. If you are not happy with the service, BullGuard will refund you the money. 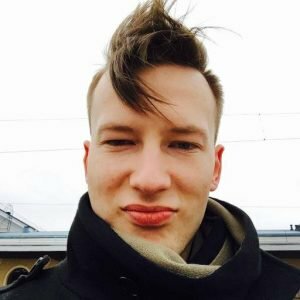 ^ BullGuard Identity Protection. BullGuard. This entry was posted on 2018-01-15 at 08:18 and is filed under News.